He’s one of our own and we’re delighted to announce that Kuber Ventures’s Business Development Associate, Ashley Smith, will be flying out to the Gold Coast this April to participate in the Commonwealth Games. 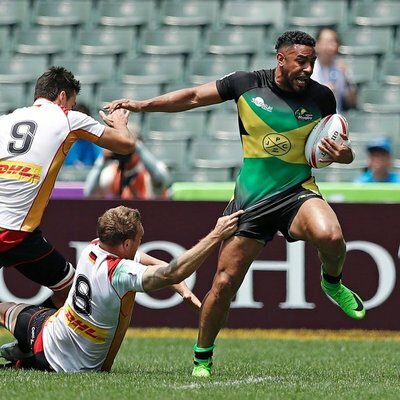 Ashley will line-up for the Jamaica side in the Rugby Sevens competition and will be hoping to strike gold down under. Having learnt his trade at the London Wasps Academy, Ashley played for London Welsh in the Championship and Premiership as well as representing Jamaica in the Hong Kong 7s 2017 and, notably, the RAN 7s Mexico City 2017 which they won, resulting in qualification for the Commonwealth Games and the 2018 Rugby World Cup in San Francisco. Ashley has represented Kuber Ventures with similar distinction for the last year and I’m sure you’ll join us in wishing him all the best in his quest for glory.